You are prepared to fight an army of zombies in the world of Minecraft. 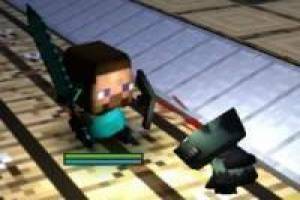 In Zombicraft you have to play games with Steve hunger or Herobrine, you can choose one of these two characters. Each has unique abilities and different weapons. 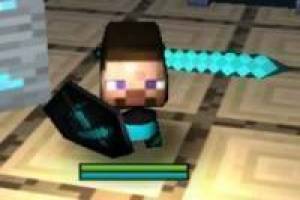 Steve will begin to fight with a sword and a shield, however Herobrine use an ax accompanied by a shield. While progress you will find new weapons and more dangerous enemies. 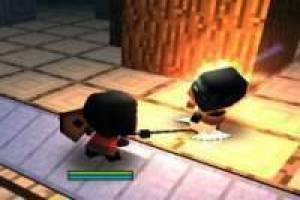 In this game you have to survive the attacks of zombies fighting with weapons you find. How long can you go without dying in the world of Zombiecraft ?. 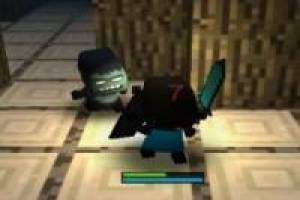 Enjoy the game Zombiecraft, it's free, it's one of our Friv games we've selected.